You have held off long enough. This is it. You have decided it is time to take the kids to Disneyland. Have you looked at the cost of admission nowadays? Those tickets for you and your family add up. No matter what your budget is for a Disneyland hotel, it's always nice to save money so you can spend it while at Disneyland. 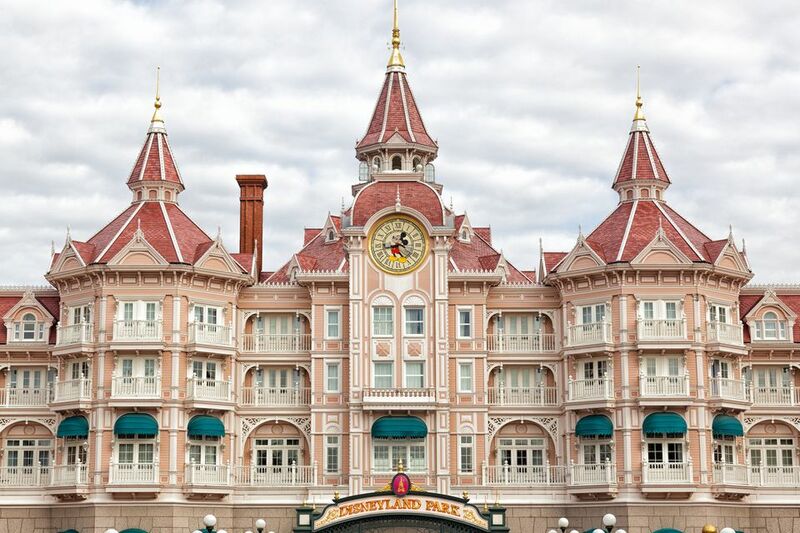 Learn eight ways that can help you find the best possible deals on Disneyland-area hotels. If you are looking for Disneyland hotel deals, you may see headlines online that say, "Anaheim hotels from $55." But then, when you click through, everything costs three times as much. Do not waste your time following those false leads. Anytime Disneyland is at peak times, hotels get packed to capacity, rates are high, and you will not find any good discounts or deals. That includes all summer (Memorial Day through Labor Day), spring and fall school breaks, major holidays, three-day holiday weekends, and anytime between mid-December and January 1. The best deal can fall apart pretty fast when the hotel starts packing on hidden fees and charges. To keep that from happening to you, find out about price-raising pitfalls before you get started. And, learn eight simple ways to find good hotel deals. TripAdvisor is a good resource since the site has lots of hotel reviews to look over, and they also search a bunch of sources at once to find the lowest rates available. Consumer Reports magazine says online consolidators like TripAdvisor often have the best prices for small hotel chains and independent hotels. To get an idea of what rates will be like when you travel, use TripAdvisor for a good starting point. Sometimes the tried and true method of picking up a telephone and calling a hotel's reservation desk directly can get you the best Disneyland hotel deal. After you do the research on TripAdvisor, call your top two or three choices. Some tips for negotiating a better hotel rate on the phone include calling the hotel desk directly and asking for their "cheapest, non-refundable" rate. This strategy can even work at the Disney hotels that seldom offer advertised deals. Consumer Reports magazine reports that some of the best prices for big hotel chains are directly on the hotel website. The hotel might offer deals that include free breakfast or free parking, too. Join the hotel rewards program, which may give you access to more deals and benefits such as free Wi-Fi. Do not overlook your AAA member discount if you have one. If you book directly through the hotel's website, you can usually apply your AAA discount. AAA can get you like $10 off per night. You may also find AARP discounts if you are a member, but they are seldom as good as AAA rates. Also check for senior, corporate, or military discounts. Being a member of certain professional associations may offer a number of discounts through partnerships with specific hotel chains. Associations to look into for hotel discounts include alumni organizations and professional groups such as the American Bar Association. Costco Travel and other member-only warehouse clubs sometimes have well-priced Disneyland packages, but do your homework before you buy. You may still be able to get better deals by buying each part of your trip separately. You might get lucky looking for Disneyland hotel deals by searching for coupon codes on Groupon, LivingSocial, or RetailMeNot. This is usually a shot in the dark, but it cannot hurt. A Disneyland-area hotel coupon deal is a rare find. Check Twitter for Disneyland hotel deals. Do not follow an account unless it actually posts deals frequently. Instead, search Twitter for "Disneyland hotel discount" or "Disneyland hotel deal." Do not expect to find too much there, but it is worth a quick check. You might want to give a "thumbs up" like to the Facebook pages of Anaheim-area hotels in advance of your vacation booking. Over time, you may find out about some good discounts or special promotions before you solidify your vacation plans. A blind site like Hotwire or Priceline may be your best way to go. If you have a budget in mind for what you are willing to spend, then naming your price might get you the vacation you want. On the plus side, you may get a really nice hotel for the price of a less expensive one. Of course, the biggest limitation is that you won't know the name of your hotel until you have already paid for it. Other big drawbacks of going this route are that you cannot get a refund, and you can't earn hotel loyalty points or make special requests. So, if you are willing to give it a try, a simple strategy for using a blind site is to choose the nicest hotel class available and bid $10 to $15 less than the best rate you have already found. Call the hotel on the day you are expecting to arrive and see if they have lowered their rates. It happens more often than you might think, and they will often be willing to give you the lower rate if you ask. If you're thinking about Airbnb or another vacation rental site as a way to save on your Disneyland lodging, you might as well forget it. In June 2016, the Anaheim City Council voted to prohibit all home-sharing rentals. That ban included renting out single rooms, whole houses, or apartments. At the time, rentals were given 18 months to cease operation, so by early 2018, the activity became illegal. You might still find Airbnb rentals in Garden Grove, Fullerton, or Buena Park, but those areas are about 5 miles away from Disneyland and may be further than you might like.